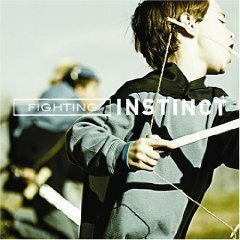 They're coy about it in their press materials, but you don't have to listen too hard to pick up on the fact that Fighting Instinct is, above all, a Christian rock band. Bassist Jason Weekly came up with the band's name, which fits its message. "Everybody struggles everyday with who they are in relation to who they want to be. That's human nature - trying to be more than we are. We're not any different than anyone else. We have the same struggles, the same temptations, we fight the same things." Reflecting on the modern rock scene, Weekly observes, "So many artists in the past seemed larger than life. I think today people want to see real people on stage. Before, they wanted a fantasy life they couldn't attain," he says. "Now, they want something they can reach, something real." 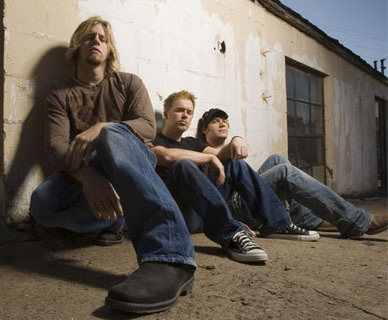 In their self titled debut album (2006) you get hints of their religious persuasion early on in the program, with relatively subtle songs like "Light My Way" and "Back to You," but by the time you've arrived at the album-closing "Just to Please You," there's no question left: "Just to please you, Father/Is my one desire/To preach the gospel to every nation,"
Fighting Instinct's debut album is a insurgence of crunchy guitar rock that owes equal debts to Southern rock, early Northwestern grunge and '60s pop-soul. Some of the band's influences include, Zeppelin. Audioslave. Blue Merle. Soundgarden. Skynyrd. Third Eye Blind. Foo Fighters. U2. Mutemath. 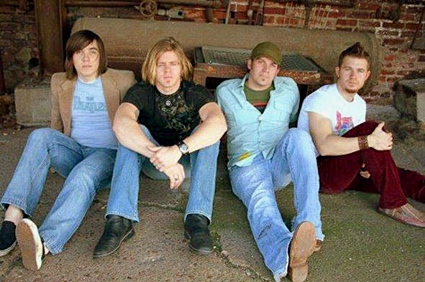 Maylene and the Sons of Disaster. Lynam.